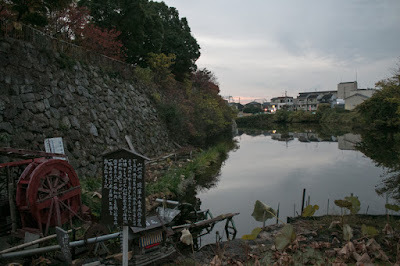 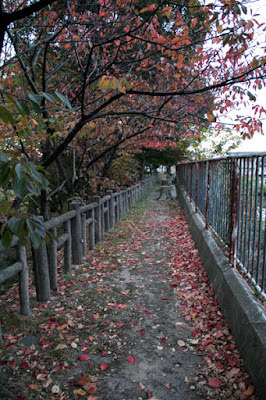 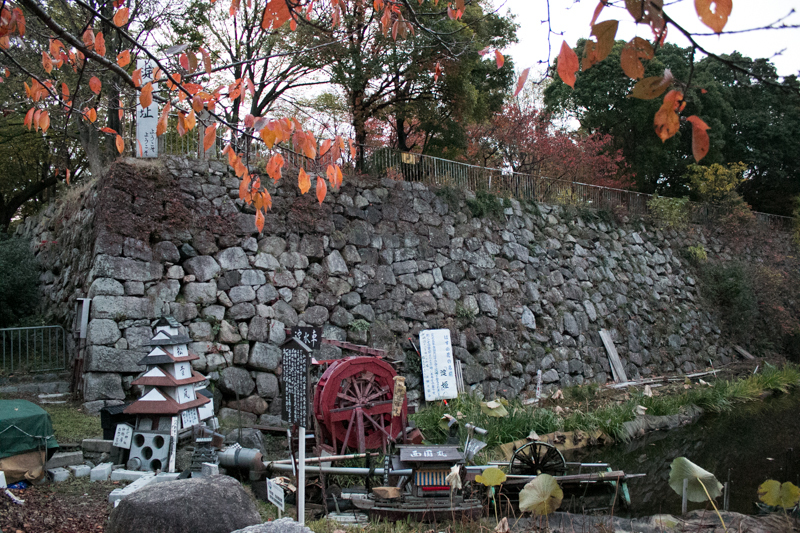 Yodo castle (淀城) is located at Yodo area, a riverside area of Yodo riverat narrow path between Kyoto city and Osaka city. 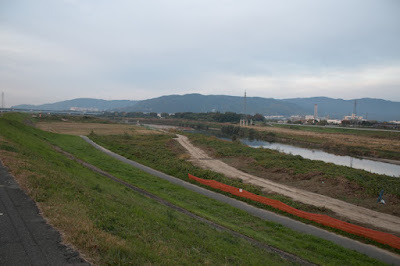 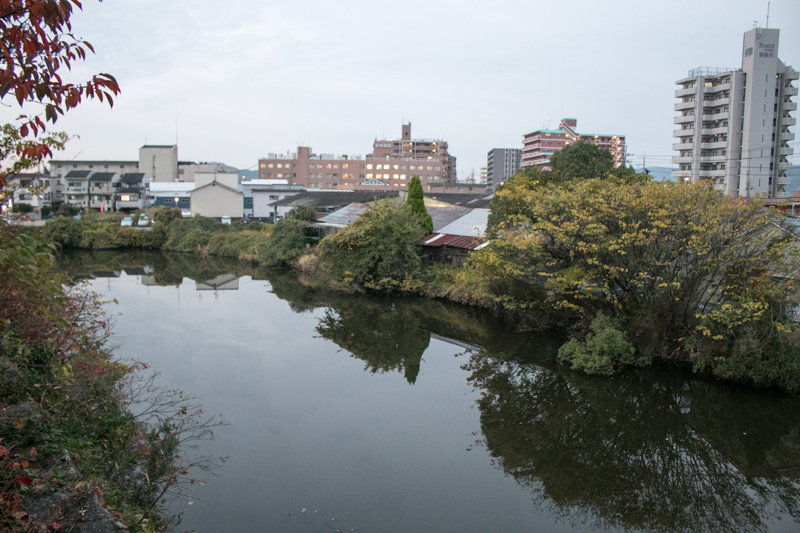 Yodo area places at south edge of Kyoto basin, and an important point where Katsuragawa river from north, Ujigawa river from east and Kizugawa river from south merges into the main stream of Yodogawa river. Especially before land reclamation in modern era, current Yodo and Fushimi area was a large lake named Oguraike river, and this lake worked as a distributing center of materials. 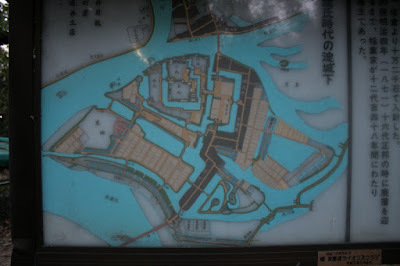 To control both land and river transportation, Yodo area had been an important place. 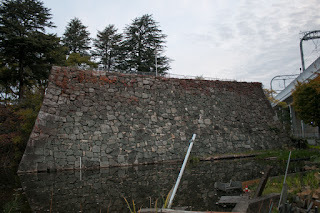 Because of its location, Yodo castle had been involved into various historical events. In the latter half of 15th century, old Yodo castle (淀古城) was built about 500 meter north of current Yodo castle by Hosokawa clan, one of the highest class retainer of Muromachi Shogunate, to guard Kyoto city from his rival Hatakeyama clan. Later old Yodo castle was seized by Nagayoshi Miyoshi (1522-1564) who was originally an important retainer of Hosokawa clan but rose up into the ruler of Kinki region, and was protected by his important retainer Tomomichi Iwanari (?-1573). In 1567, Nobunaga Oda (1534-1582), a warlord of Owari province (western part of Aichi prefecture) and who seized Mino province (Gifu prefecture), marched to Kyoto city along with Yoshiaki Ashikaga (1537-1597), a younger brother of 13th Shogun Yoshiteru Ashikaga (1536-1565). 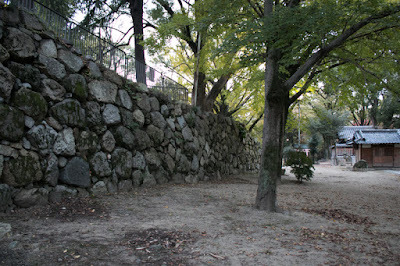 Tomomichi once surrendered to Nobunaga, but when Nobunaga and Yoshiaki broke up in 1573, Tomomichi supported Yoshiaki and besieged at old Yodo castle. But the castle was attacked by huge army of Nobunaga, then Yodo castle fell and Tomomichi was killed. 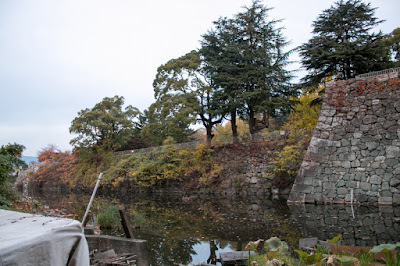 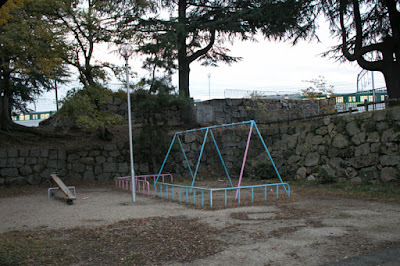 After that Yodo castle was temporally abandoned. But in 1582, Mitsuhide Akechi (1528-1582) , a regional commander of Nobunaga, made a coup d’etat against Nobunaga who stayed at Honnoji temple and forced Nobunaga to suicide (incident of Honnoji). 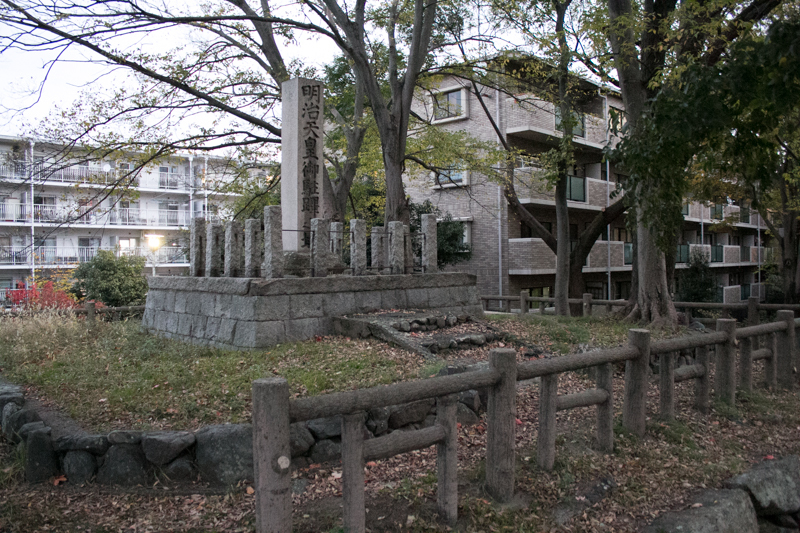 Mitsuhide temporally seized the hegemony, but Hideyoshi Hashiba (1537-1598), another regional commander of Nobunaga who stayed at Chugoku region and fought with Mouri clan, promptly made peace with Mouri clan and returned to Kinki region with large army for revenge of his former master. Mitsuhide had to guard Kyoto city from the attack of Hideyoshi, and reformed Shoryuji castle and Yodo castle as defense base of westward. 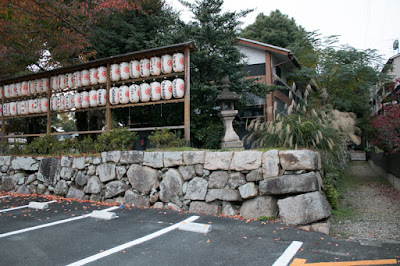 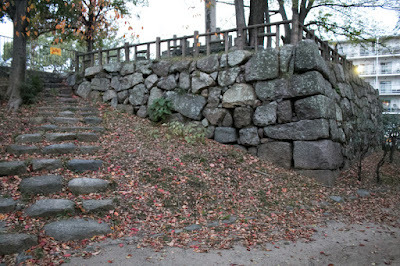 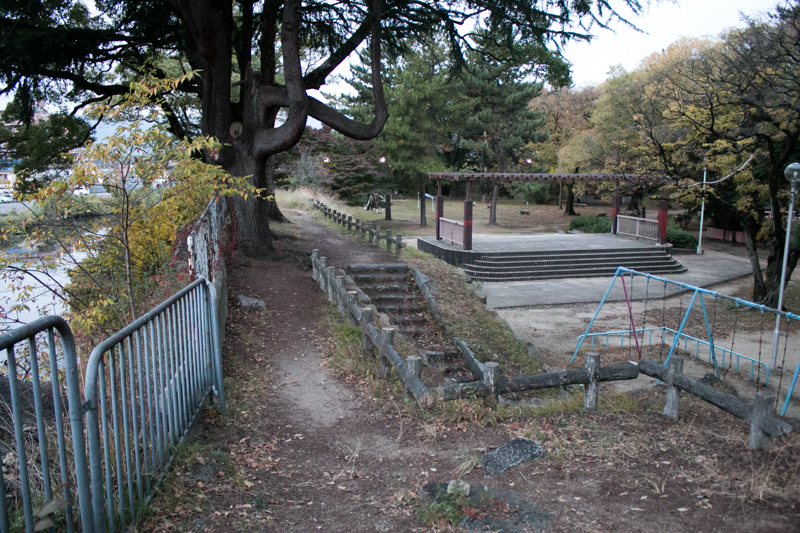 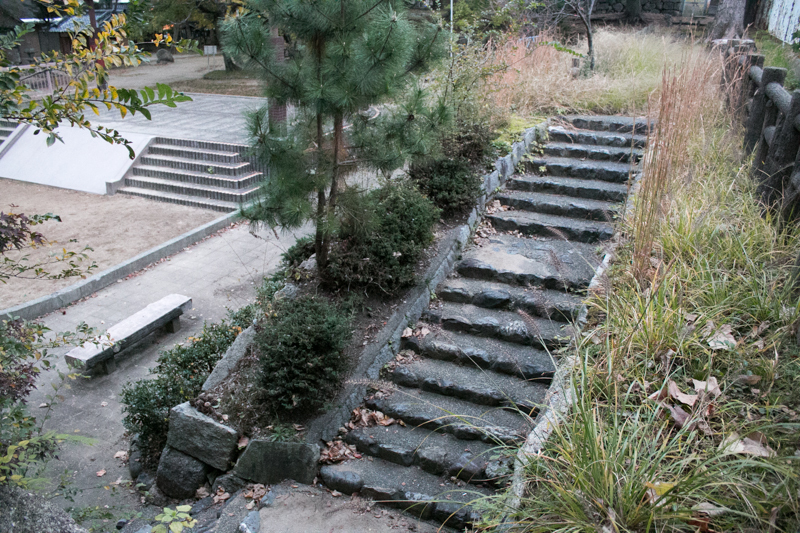 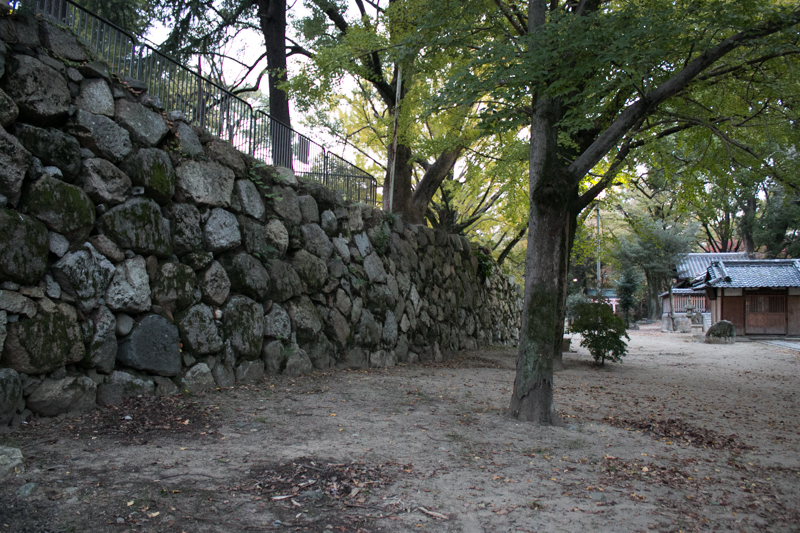 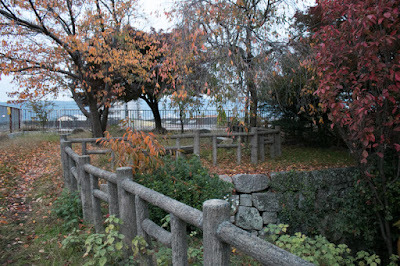 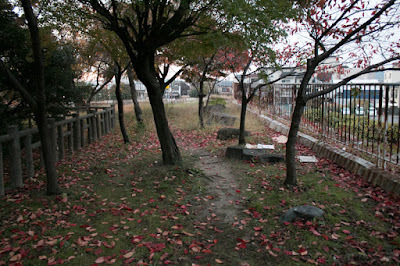 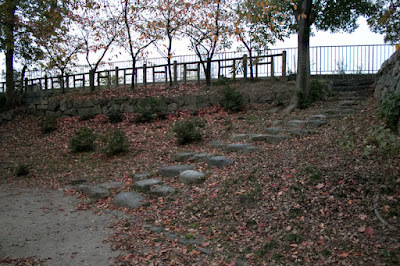 Mitsuhide and Hideyoshi fought at the place of Yamazaki, just ahead of Shoryuji castle and Yodo castle from Kyoto city. 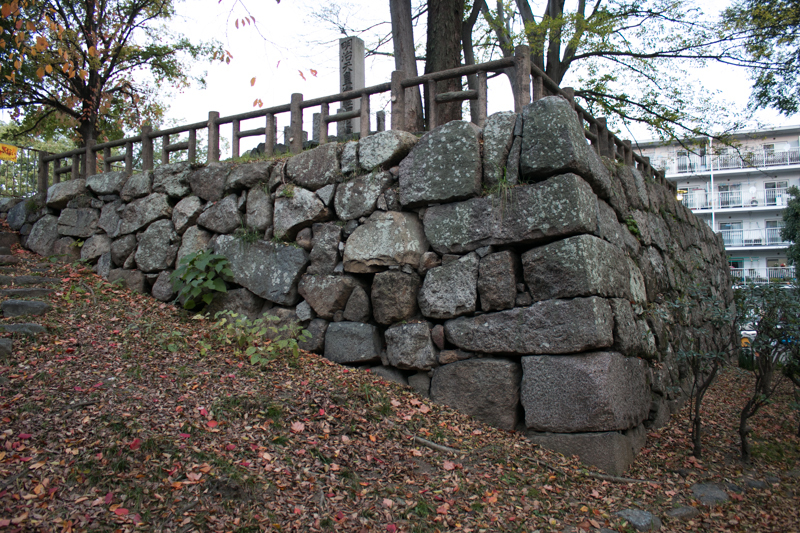 But Mitsuhide had only smaller number of soldiers was defeated by Hideyoshi, and died on the way of his escape to his main base Sakamoto castle (Shiga prefecture). 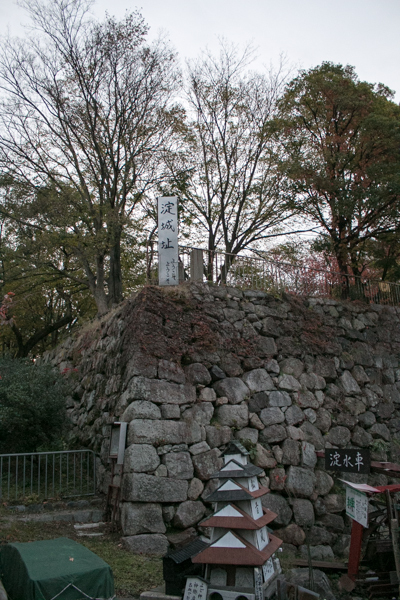 As a result of this battle of Yamazaki, Hideyoshi became virtual successor of Nobunaga. After the battle of Yamazaki, Hideyoshi once built Yamazaki castle over top of Tennozan mountain in the opposite side of Yodo river from Yodo castle and temporary stayed there, but later constructed huge Osaka castle (Osaka prefecture) as his main base and moved there. 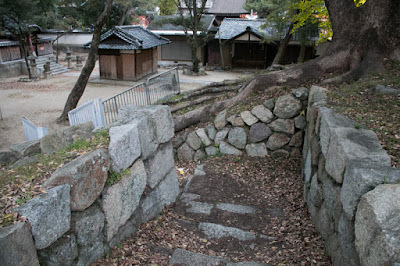 But the importance of Yodo area as an connecting point between Kyoto city and Osaka city and gate of Kyoto city from Osaka area is totally unchanged, thus Hideyoshi reformed Yodo castle into a modern one and placed his concubine Princess Yodogimi (Chacha, Yododono) called by the name of this castle. 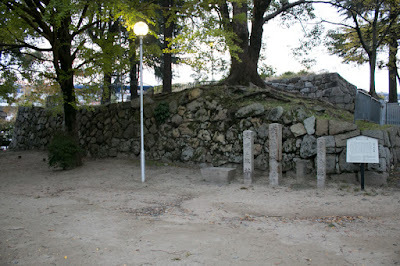 Yodogimi is the eldest of famous three daughters of Nagamasa Azai (1545-1573), the warlord of Odani castle (Shiga prefecture) in north part of Omi province (Shiga prefecture), and Princess Oichi (1547-1583) who was the younger sister of Nobunaga Oda (1534-1582), the warlord of Owari province (western half of Aichi prefecture) and later became ruler of central area. 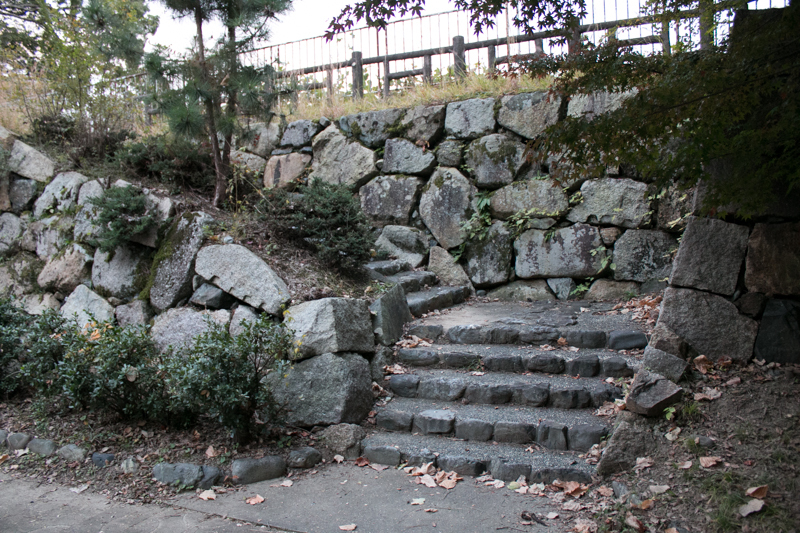 It is said that Princess Oichi was a beautiful woman, and these three sisters inherited this beauty. 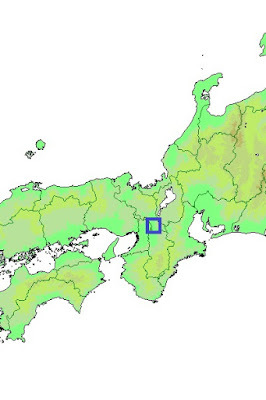 Nobunaga and Nagamasa once made alliance, but later they broke up and Azai clan was extinguished by Nobunaga in 1573. 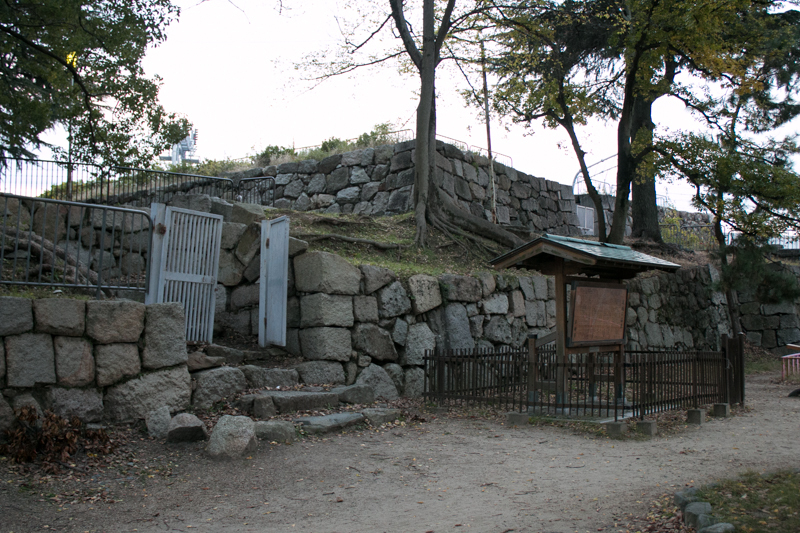 Princess Oichi and three sisters were rescued from burning Odani castle, and after the death of Nobunaga at the incident of Honnoji in 1582, Princess Oichi married with Katsuie Shibata (1521-1583), a veteran regional commander of Nobunaga who held Kitanosho castle (Fukui prefecture). 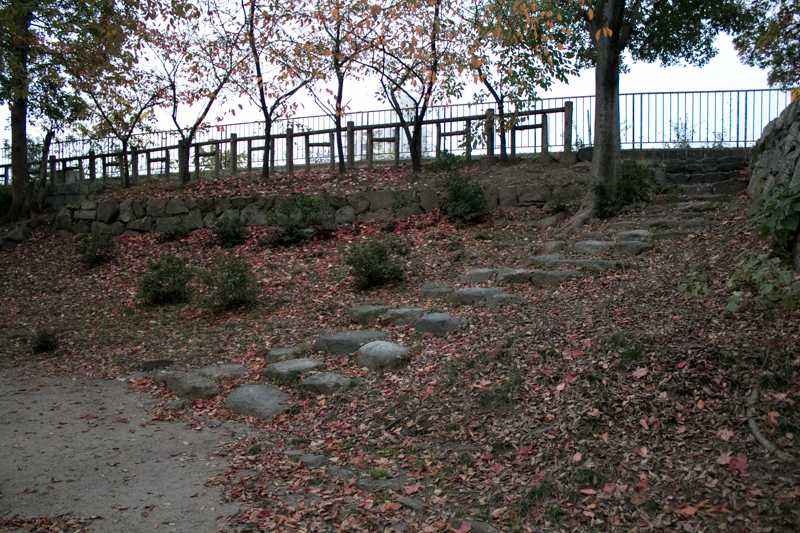 But Katsuie was defeated by Hideyoshi Hashiba (1537-1598, later Hideyoshi Toyotomi) at the battle of Shizugatake, and Katsuie and Princess Oichi killed themselves in burning Kitanosho castle. 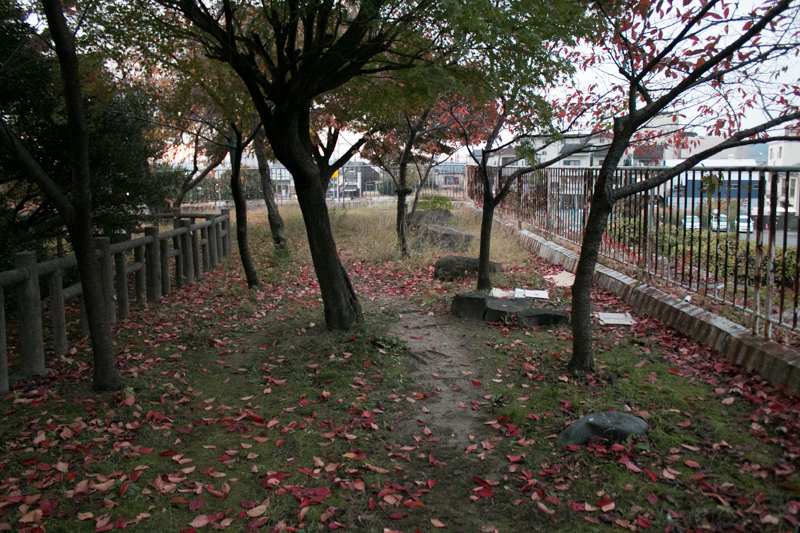 Three sisters who lost their parents lived their own way. 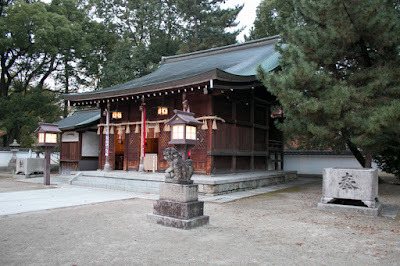 The eldest Chacha became a concubine of Hideyoshi Toyotomi who became the next ruler in 1588, and Hatsu married with Takatsugu Kyogoku, a descendant of Kyogoku clan which was a distinguished house and former governor of Omi province. The youngest Gou at first married with Kazunari Saji (1569-1634), a local lord at Ono castle in Chita peninsula of Owari province, but later was forced to divorce. Next Gou married with Hidekatsu Hashiba (1569-1592), a nephew of Hideyoshi but Hidekatsu died in youth. Finally Gou married with Hidetada Tokugawa (1579-1632), the successor of Ieyasu Tokugawa (1543-1616) who was the largest lord under Toyotomi government, and finally became the wife of Shogun. 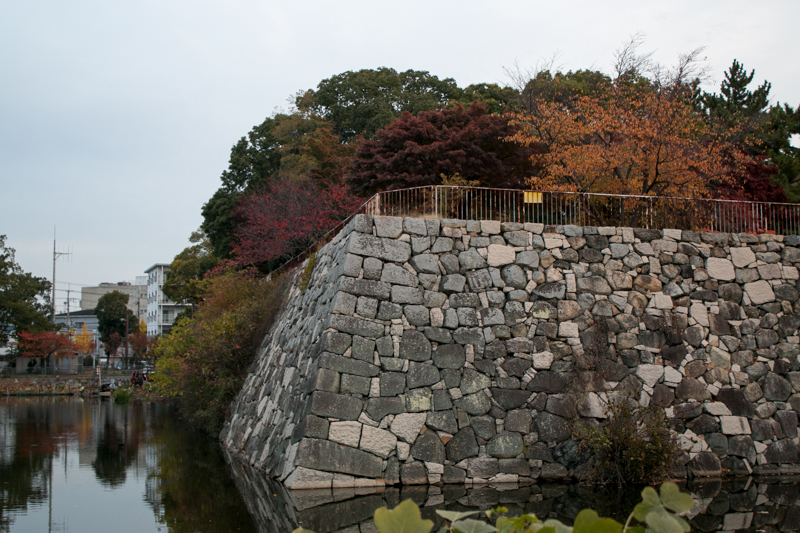 In 1588, Yodogimi became pregnant, and Hideyoshi who did not have his son yet greatly pleased it. 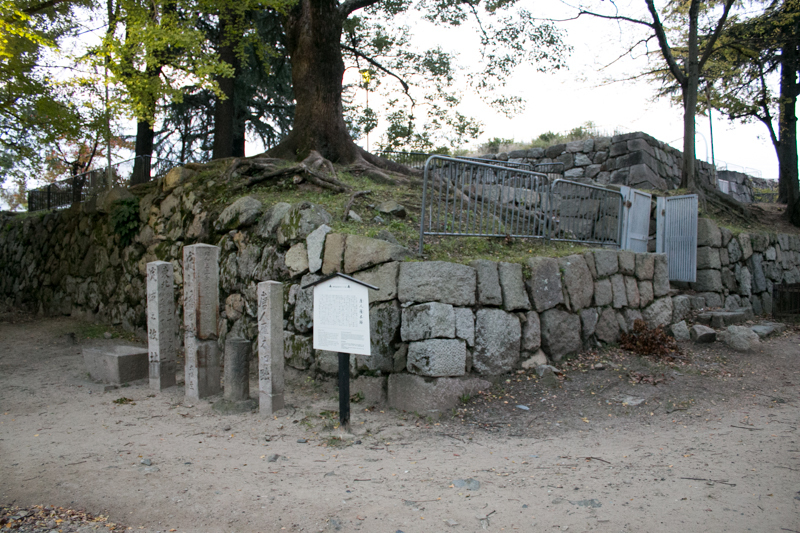 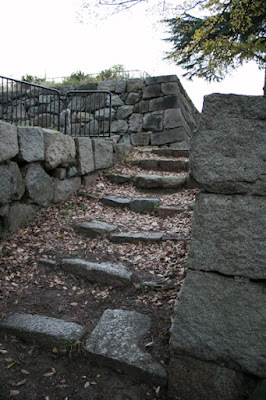 Hideyoshi gave Yodo castle to Chacha, probably to appeal the existence of his son to the retainers who passes between Osaka city and Kyoto city. Next year her first son named Tsurumatsu was born, but unfortunately Tsurumatsu died only in three years. 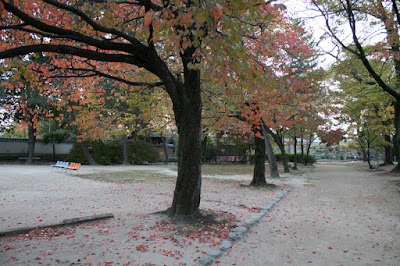 Next in 1592 Yodogimi became pregnant again and second son Hideyori Toyotomi (1593-1615) was born in next year. Yodogimi moved Fushimi castle at this time, and Yodo castle was given to Shigekore Kimura (?-1595), an important retainer of Hidetsugu Toyotomi (1568-1595), a nephew and planned successor of Hideyoshi. Shigekore is said as a father of Shigenari Kimura (1593-1615), a good looking general who bravely fought and died at the battle of Osaka castle. 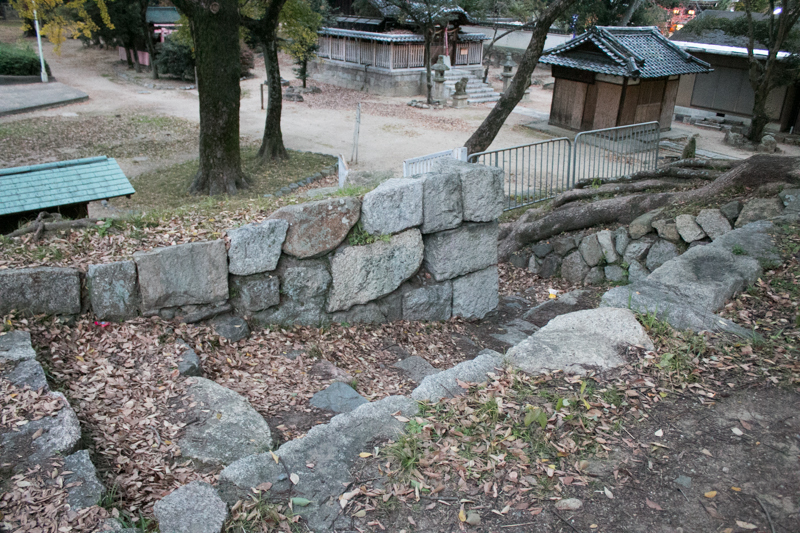 But in 1595 Hidetsugu was purged by Hideyoshi to succeed Toyotomi clan to Hideyori, and Shigekore was also forced to kill himself. Yodo castle was once abolished at this time. 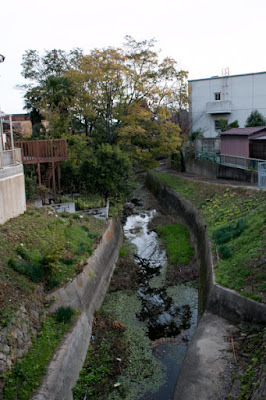 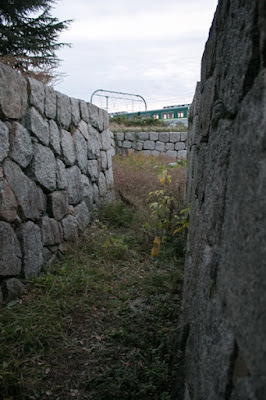 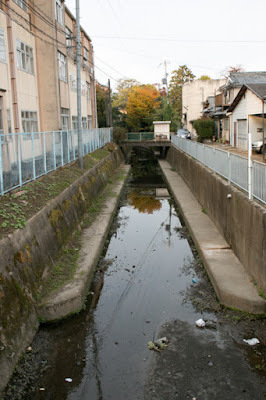 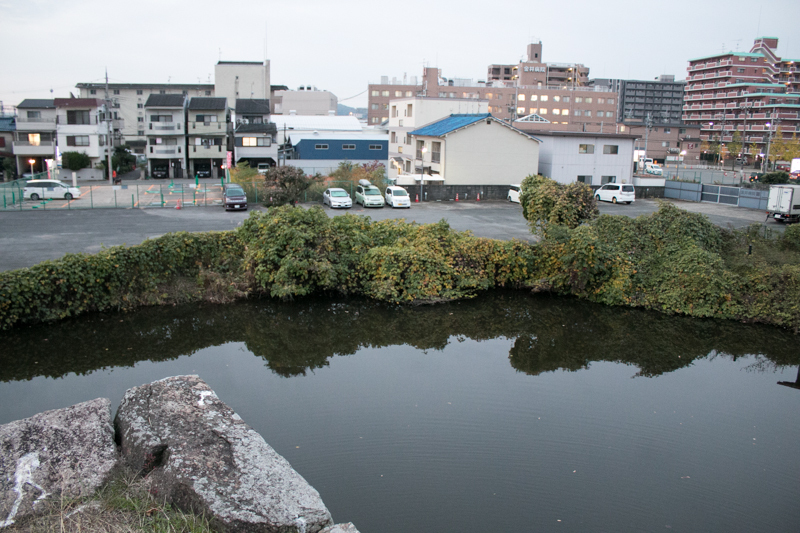 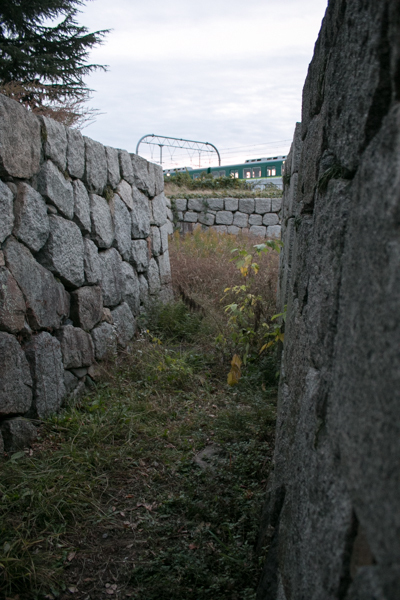 Currently most ruin of old Yodo castle was lost, but trace of water moats still remain as creeks around castle site. 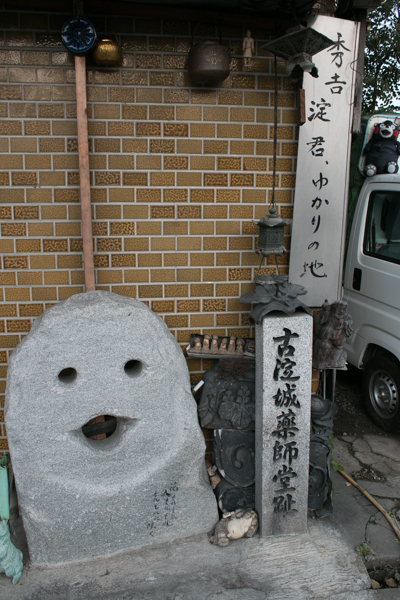 After the death of Hideyoshi in 1598, Hideyori became the successor of Hideyoshi and Chacha became the mother of paramount. 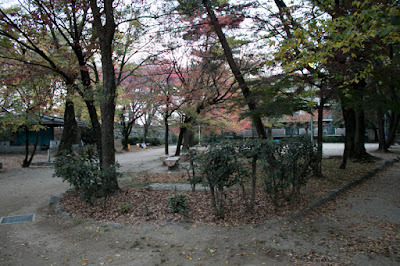 But Hideyori still was a child and could not manage the retainer, and conflict of front generals and administrative staff became serious. Ieyasu Tokugawa who was the largest lord under Toyotomi government aimed at next hegemony, stirred up the conflict of both party and supported front generals. Mitsunari Ishida (1560-1600, the chief administrative staff of Toyotomi government, raised his army to stop the ambition of Ieyasu, but was defeated at the battle of Sekigahara and was executed. Based on this victory Ieyasu became the substantial ruler and was appointed as Shogun in 1603. 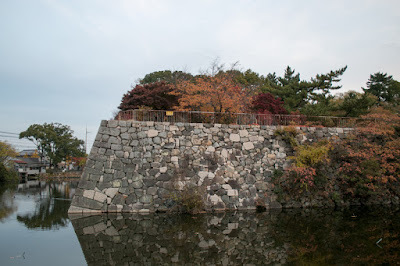 Hideyori still kept Osaka castle and married with Princess Senhime, the daughter of Hidetada Tokugawa who was the son of Ieyasu, there was no room for two rulers. Even though having secure Osaka castle and huge amount of property inherited from Hideyoshi, but former retainers of Hideyori now supported Edo Shogunate and Hideyoshi’s position was quite weak. 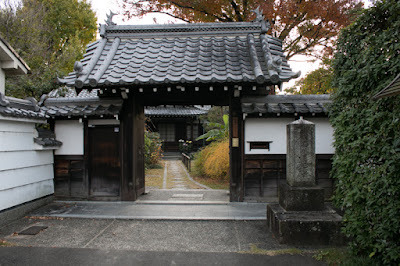 But Yodogimi was proud of her blood, and also her status as a mother of paramount. It is said that at first Ieyasu tried to conciliate Yodogimi and Hideyori to subordinate to Ieyasu, but Yodogimi declined it. Finally Ieyasu changed his policy to extinguish Toyotomi family and attacked Osaka castle in 1614 and 1615. 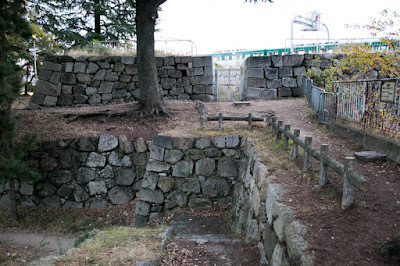 At last, Yodogimi and Hideyori killed themselves in burning turret of Osaka castle. 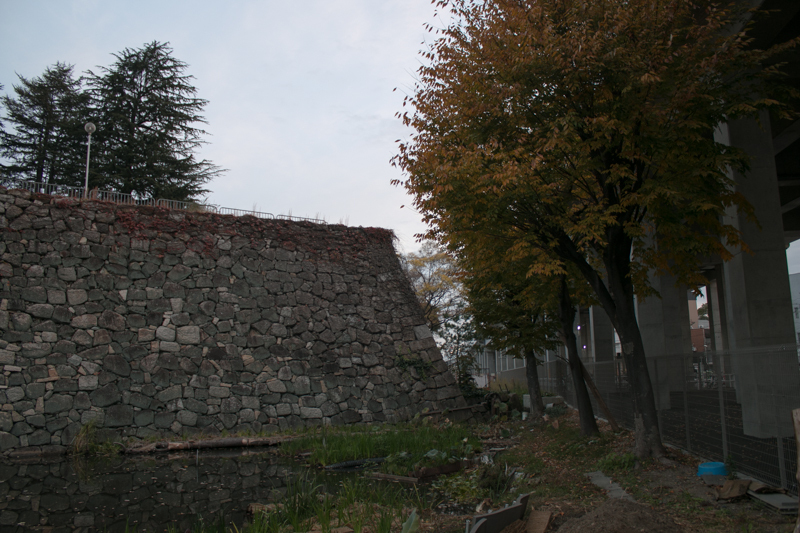 In 1623, eight years after the fall of Osaka castle and death of Yodogimi, Hidetada Tokugawa abolished Fushimi castle near the place of Yodo and replacingly decided to build a new castle at the place of Yodo. New Yodo castle was built at 500 meter downstream of old Yodo castle, and built using materials of former Fushimi castle. 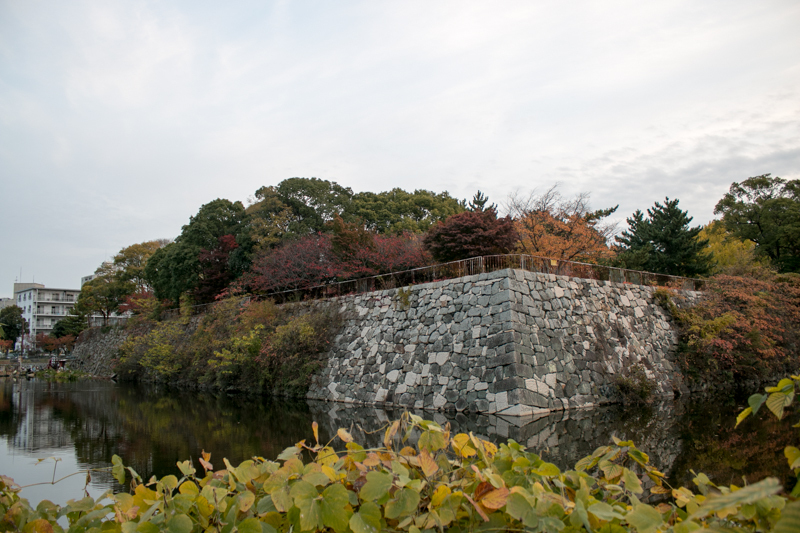 New Yodo castle was built utilizing sand bank of Yodogawa river. 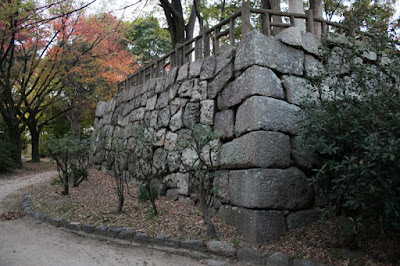 Central area is a square area of 150 meter long, and located at the center of the castle. At the southwest corner main tower basement was built, and five story main tower with four attached turret was built on this basement. Secondary area directly connected at the north of central area, and third area and Nishinomaru area surrounded these two core areas. 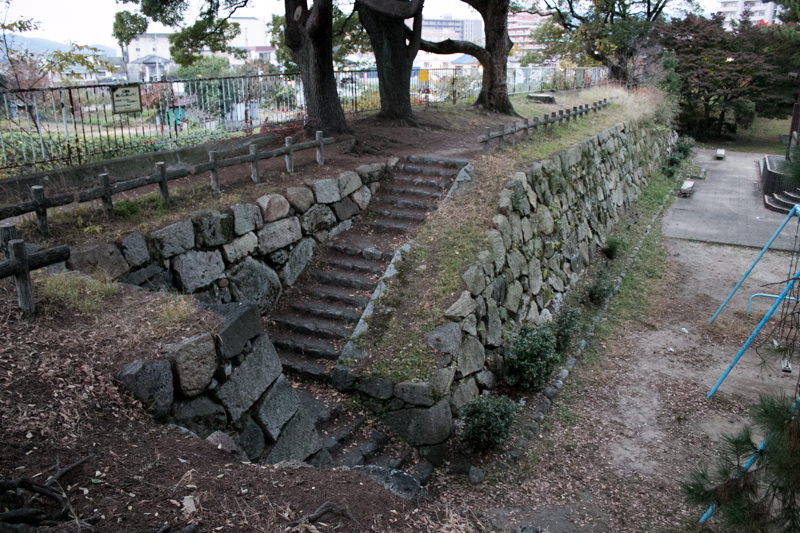 Outer area further guarded the castle, and each area is separated by water moat connected to Yodogawa river. Total size of new Yodo castle was about 400 meter long and 300 meter wide, and it was a secure castle guarded by wide and multiple water moats directly connected to Yodogawa river. 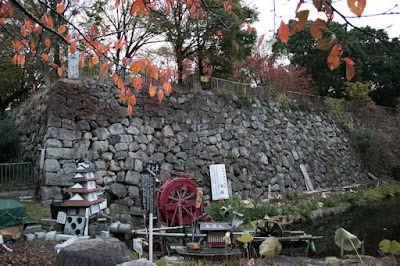 There were two water wheels in the castle and regarded as a landmark of the castle. 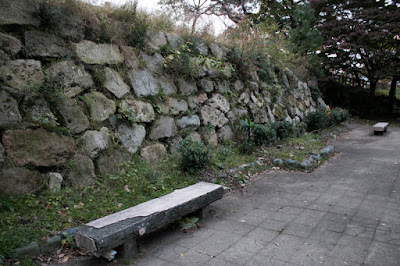 As a castle guarded important place, hereditary retainers of Edo Shogunate were appointed as a commander of Yodo castle. 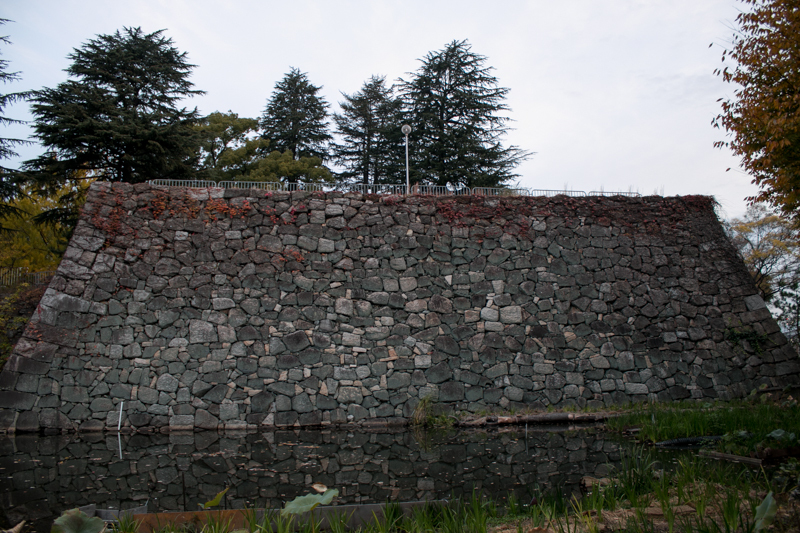 Since the middle of Edo Era, Inaba clan served as a lord of Yodo castle. 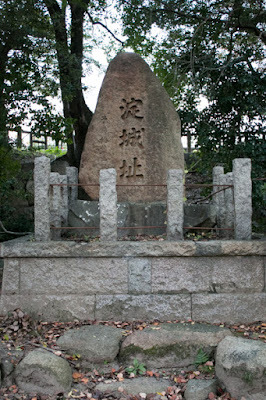 Inaba clan was originally one of the three large local lord in the west part of Mino province (Gifu prefecture), and became a major general of Nobunaga at the time of Yoshimichi Inaba (1515-1588, known as Ittetsu). Masashige Inaba (1571-1628) was a leader of branch family of Inaba clan, and married with Fuku (1579-1643) later famous as Kasuga-no-tsubone (Lady Kasuga). 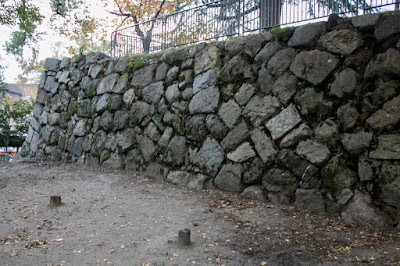 Fuku was a daughter of Toshimiitsu Saito (?-1582), an important general of Mitsuhide Akechi (1528-1582), who was the commander of Nobunaga Oda and served as a commander of Kuroi castle (Hyogo prefecture). In 1582, as above, Mitsuhide made a coup d’etat against his master Nobunaga Oda and forced Nobunaga to suicide. 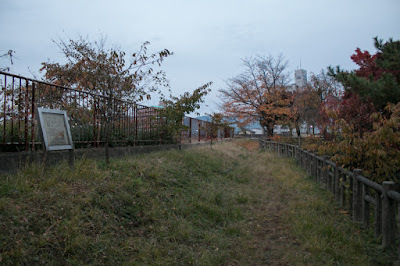 But just after that Mitsuhide was defeated by Hideyoshi Toyotomi at the battle of Yamazaki, and Toshimitsu who left the battlefield was captured and executed. 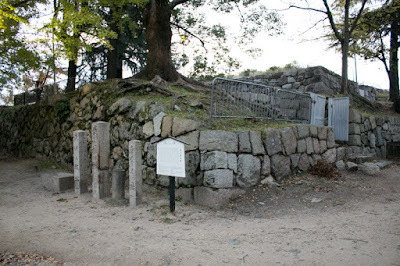 Fuku who survived this tough situation was grown at the house of her relative noble family in Kyoto city, and married with Masashige, but after the battle of Sekigahara in 1600, Masashige opposed his master and became unemployed. 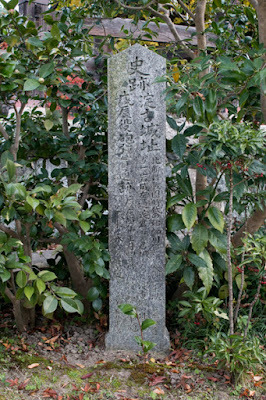 In 1604, Fuku was appointed as a nunny of Iemitsu Tokugawa (1604-1651), the third Shogun of Edo Shogunate. 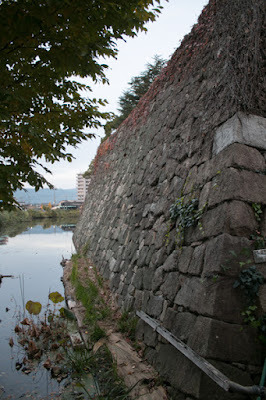 It is said that Fuku applied the recruit of the nunny held at Kyoto city, but it is not clear if this is true or not. 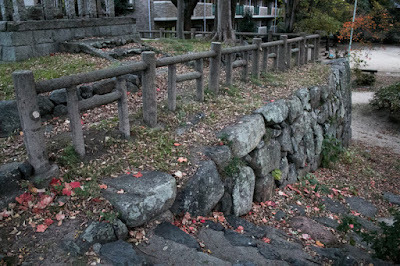 As nunny should be single woman then Fuku divorced with Masanari and served to Iemitsu, but still had a good relationship with Masanari. Iemitsu was a powerful Shogun at the peak of Edo Shogunate, and Fuku exercised awesome power being support of Iemitsu. 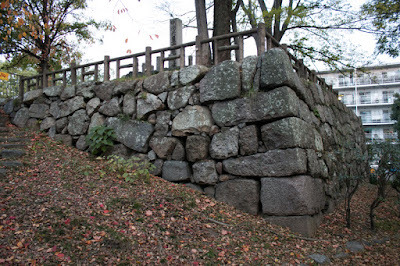 It is said that when Iemitsu was close to lose the position of next Shogun, Fuku directly visited Sunpu castle and appealed to Ieyasu Tokugawa (1534-1616), the founder of Edo Shogunate and granfather of Iemitsu, to keep Iemitsu as an successor. Anyway Iemitsu deeply trusted Fuku, and seek her advice on various affairs. 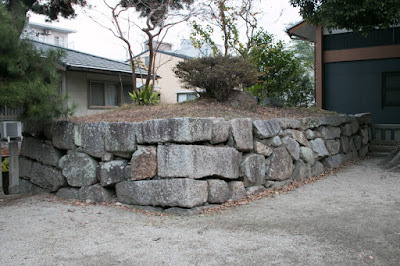 Even though divorced, based on Fuku’s suggestion, Masashige was hired by Edo Shogunate, and finally a lord of Yodo domain which was a large and important domain larger than Usuki domain, the mainstream of Inaba clan. But other than such promotion of her relative, Fuku always tried to make good decision for Iemitsu, and there was no bad story on her power. 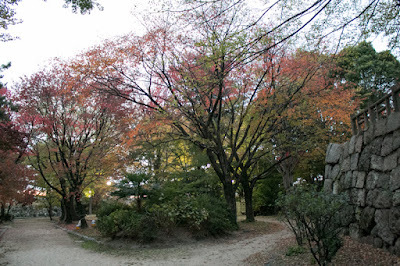 To show his confidence and gratitude to Fuku, Iemitsu let her be adopted by noble family and gave the name of Kasuga-no-tsubone (Lady Kasuga). 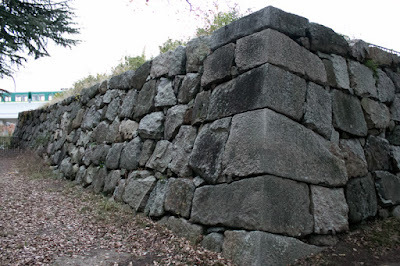 May be Kasuganotsubone was substantially the most powerful woman in Japanese history prior to Meiji revolution, exceeding above Yodogimi or ancient female emperors. 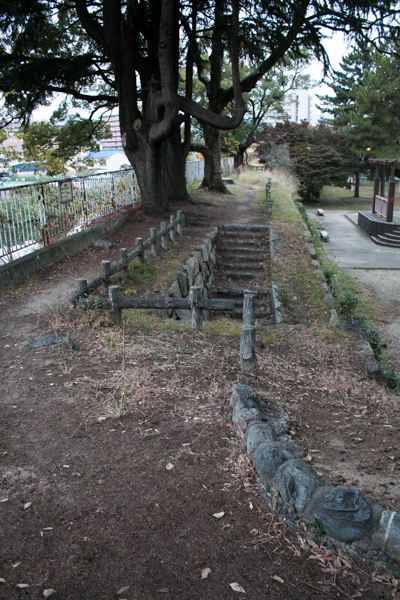 In 1868, Shogunate army fought against anti Shogunate army lead by Satsuma domain and Choshu domain at Toba Fushimi area, near from Yodo castle. 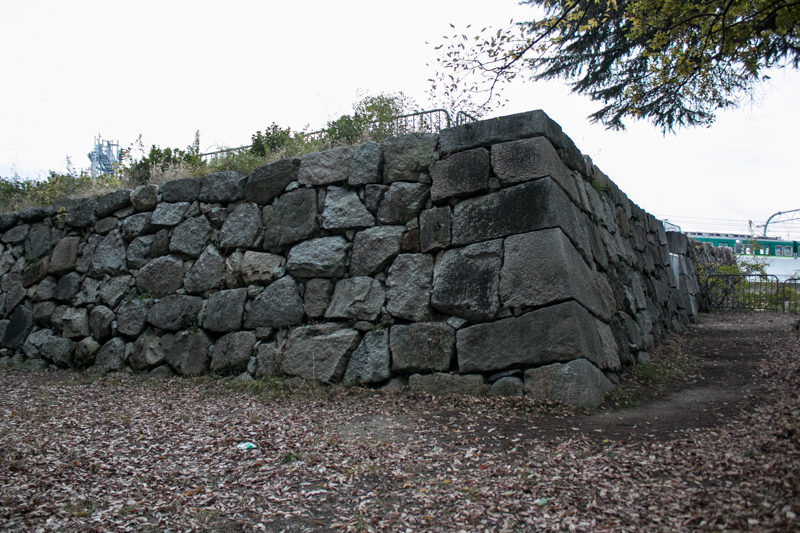 Shogunate army was defeated at the first battle, and they tried to reorganize their army at Yodo castle. 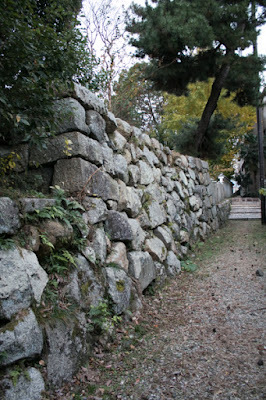 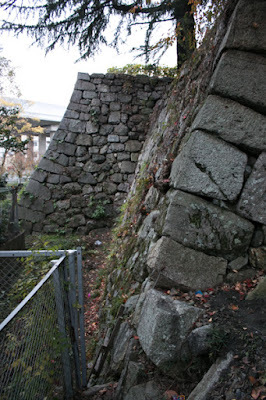 But commander of Inaba clan suddenly declined to support Shogunate army and shut the gate of the castle. 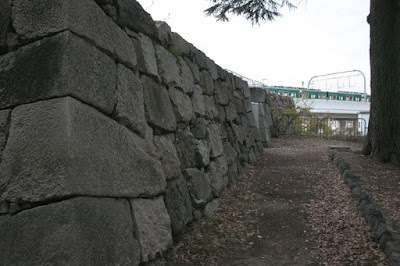 Because of this fact Shogunate army could not recover the situation at Yodo castle had to retreat to Osaka castle, and seeing such situation Yoshinobu Tokugawa (1837-1913), the last Shogun of Edo Shogunate and who looked the situation at Osaka castle, gave up the resistance at Osaka castle and returned to Edo castle without fight, and this fact significantly affected the result of Meiji revolution. 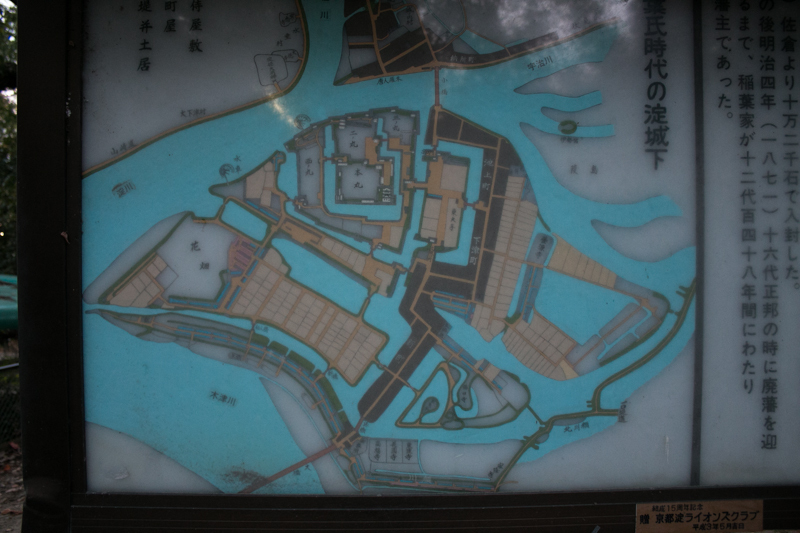 Subsequent to Meiji revolution, all buildings were broken and most part of the castle was lost because of city construction and river improvement. 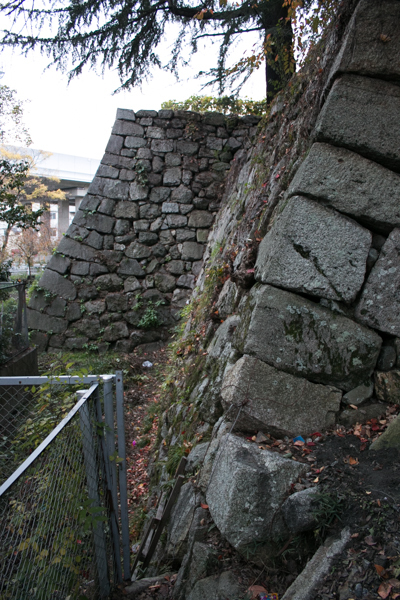 But stone walls and water moats of the western half of central area miraculously remain in the city, including magnificent basement of main tower. 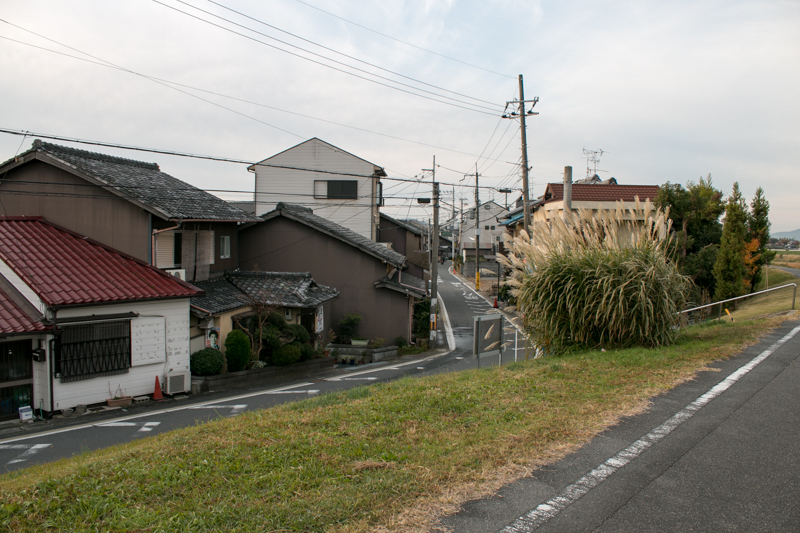 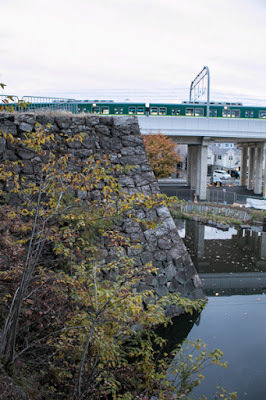 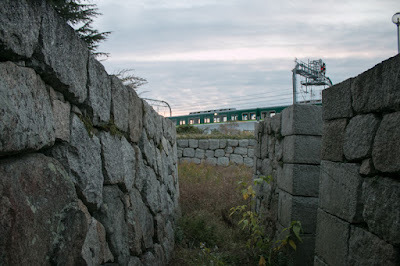 Being surrounded by roads and trains, ruin of the castle still watches transportation between Kyoto city and Osaka city, with the memory of many historical events and two powerful ladies. 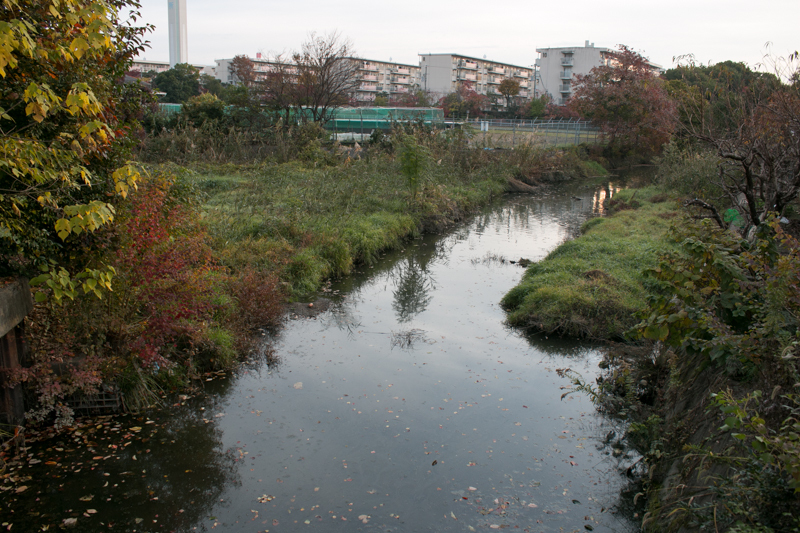 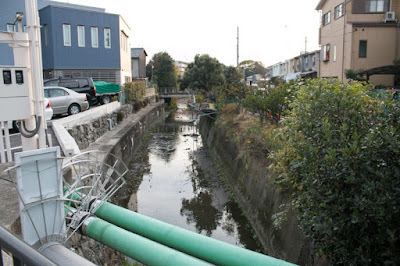 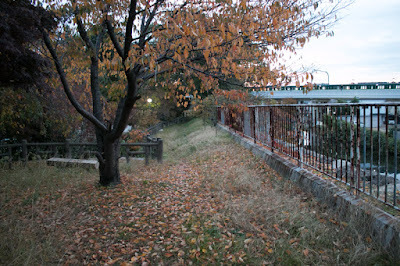 10 minutes walk from Keihan Honsen line Yodo station. 10 minutes drive from Keiji Bypass tall road Kumiyama-Yodo interchange.